Law Enforcement Officers are always there to help others. Now it is the time to help them. There are several ways you could help . Please choose from one of the following to make your tax deductible donation to the Law Enforcement Officers Relief Fund. We've made it easier than ever to give back to America's Finest. Donate as much as you'd like below, and remember, donations are always tax deductible. You now have the opportunity to support the members of the law enforcement community in the time of need! When you purchase one of these beautiful limited edition collector’s coin, you are supporting the Law Enforcement Officers Relief Fund and helping us assist officers when they need in most. 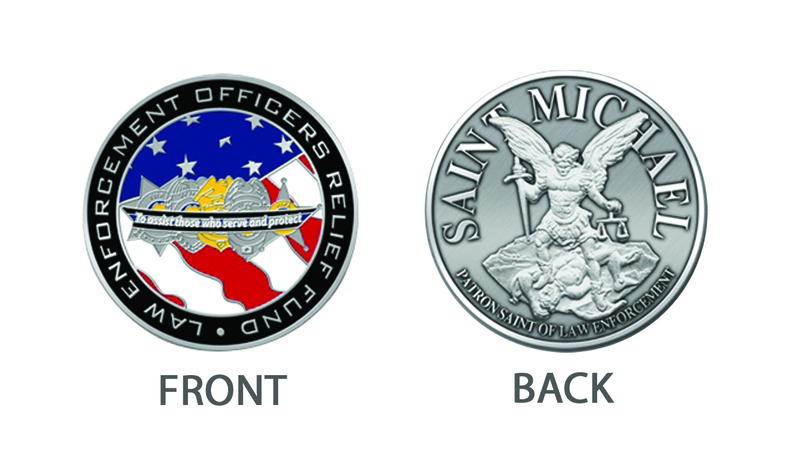 For just $20, you can own a token of your commitment to the men and women that serve and protect us each and every day.This coins make the perfect gift for retirement, anniversaries, or for displaying with pride in your office of home. Don’t miss out on this one-of –a-kind collector’s item. Quantities are limited, so order yours todays!